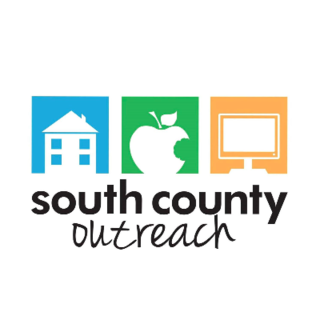 South County Outreach has been providing hunger and homeless relief services to low-income families, individuals, seniors, and children since 1989. Through five core programs and three seasonal programs, South County Outreach provides services to over 6,500 individuals a year. FOOD PANTRY - Distributes emergency non-perishable and fresh food daily to as many as 3,000 residents a month. HOMELESS PREVENTION COUNSELING - Provides individual coaching, resources, and referrals to promote self-reliance and prevent homelessness. UTILITY & RENTAL ASSISTANCE - As many as 332 families a year receive emergency utility and rental assistance to avoid shut-off and eviction. TRANSITIONAL HOUSING - Provides subsidized housing in 17 South County Outreach-owned condominiums and professional case management services to homeless families. COMPUTER LEARNING LAB - Instructs more than 400 students annually and helps those who are unemployed and under-employed improve their computer skills to increase job opportunities. UPSCALE RESALE THRIFT STORE - Supports our mission by providing 400 clothing vouchers each year to families in need to shop at the store. SEASONAL PROGRAMS - Almost 1,300 families are adopted during the holidays with meals and toys. In addition, back-to-school backpacks filled with school supplies are distributed to more than 750 children annually. Our programs provide dignity and hope – realistic hope for a better future.